Harare – Life has no permanent enemies nor friends – only lasting interests. 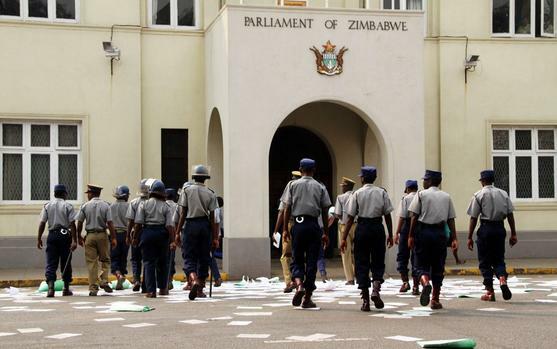 Not long ago, Zimbabwe’s ruling party and opposition legislators were in constant hostility over the latter’s failure to observe a sitting president. Some even suggested that their allowances be embargoed for such wayward behaviour. Opposition law makers were later bundled out of the august house by police for once again belittling an elected president. From there onwards, we prematurely concluded permanent battle lines were drawn. All along, opposition representatives demonstrated their demand for legitimacy over the July 30 elections. But when their welfare was threatened, they become one. Yet, this is not the first time that the same crowd ganged up. In November 2017, there was a resounding consensus to impeach former president Robert Mugabe. Out of a $163 million, parliament was allocated $101 million in 2019, instead. And if their demands failed to sail through, the MPs threatened not to pass the finance minister’s 2019 National Budget, thereby holding the nation at ransom. The often rowdy members elected to uplift the electorate’s interest, demanding a 44 percent budgetary rise, coupled with luxury vehicles, diplomatic passports, state of the art gym facility, golf facilities and iPads – among other excesses. As for the gym, one would forgive them for asking, since some dearly need to regulate their ballooning weight to live a normal, healthy lifestyle. But some of these absurd demands come as medical doctors and teachers are on strike demanding a salary review. Diplomatic passports could only be a show of power, since the country’s elite face travel sanctions to a majority of European destinations. And this could only be a sure avenue for ruling party members to gain entry where they are not welcome. Luxury vehicles could only balloon unrestrained government expenditure, since most of these will be imported into the country. And who interests would golf facilities serve, these are definitely a redundant luxury. “MPs are handicapped and we are talking of only one car, a Land Cruiser, which is the only car good enough for MPs to do their work because the Mazdas and Toyotas we get are not good enough,” MP Temba Mliswa an independent reasoned. Mliswa’s reasoning supported by others was that other nations accord their elected members such luxuries, calling their current $75 per sitting a pittance. With every sector shouting for attention, the legislators’ demands are out of order. After getting their way, there was reportedly jubilation in the House, with MPs from across the political divide embracing their victory. So instead of iPads and all, we propose an extra allocation of protector plus. With recurrent romours of extra marital sexual exploits within the legislative house, wouldn’t it be wise to offer more protector plus to the honourable members to ensure their health. PS: And extra protection is surely sought for their security to discuss the nation’s concerns in total peace.